NVIDIA GeForce Game Ready Driver 417.71 WHQL has been released and it provides G-SYNC Compatible support for some AMD FreeSync monitors on the market. NVIDIA G-SYNC can now be used to activate the VRR features of G-SYNC Compatible displays. G-SYNC Compatible displays have been validated by NVIDIA to not show pulsing, flickering, or other artifacts during VRR gaming. Look here for a list of GSYNC Compatible displays. G-SYNC on G-SYNC Compatible displays is supported only with NVIDIA Pascal and later GPU architectures. Only single displays are currently supported; multiple monitors can be connected but no more than one display should have G-SYNC enabled. Support for the GeForce RTX 2060 has been added along with 3D Vision profiles for Shadow of the Tomb Raider - Not Recommended and Darksider 3 - Fair. New versions of the HD audio driver, GeForce Experience, CUDA, PhysX, and nView are included also. The NVIDIA driver download page is located here. Fixed issues in Nvidia GeForce Game Ready driver 417.71 WHQL include: [GeForce GTX 1080]: GPU clock speed does not drop to idle when three monitors are enabled. . Black screen when resuming from monitor sleep on some DisplayPort monitors. . [Notebook]: Fixed lockup that occurred when resuming from sleep on MSI GT83 notebook . [GeForce GTX 1060 Notebook][Gu Jian Qi Tan 3]: The application hangs during launch. . Fixed black screen on BenQ XL2730 monitor at 144Hz refresh rate . [Windows 7][G-SYNC]: Game FPS drops when G-SYNC is used with V-Sync . [SLI][3D Gaming][TU104][PG 180][Multiple apps][Win10RS5x64]Blocky Corruption when application is switched to certain resolutions . [Shadow of the Tomb Raider]: Fixed occasional application crash in DirectX 12 mode. .
Windows 10 Issues [SLI][Shadow of the Tomb Raider][G-SYNC]: Flickering occurs in the game when launched with SLI, HDR, and G-SYNC enabled . [HDR][Ni no Kuni 2]: Enabling HDR causes the application to crash when launched. . [ARK Survival]: Multiple errors and then blue-screen crash may occur when playing the game. . [Firefox]: Cursor shows brief corruption when hovering on certain links in Firefox. . [G-SYNC]: Random flickering occurs when connecting G-SYNC monitor + non-GSYNC HDMI monitor with G-SYNC enabled. . 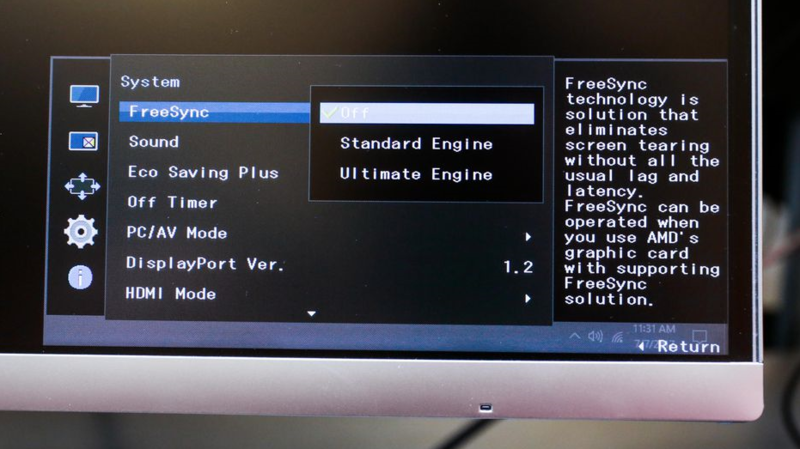 Anyone know if G-sync support for Freesync monitors works under Linux? Windows 10 only, update 1809 or later, Display Port only. GSDragoon, surlyroad and scojer like this. Apparently doesnt support VRR over HDMI. Its reported to be out of spec for HDMI 2.0 (AMD have their own fix) so NVidia may not implement it until HDMI 2.1 cards are released. Many people who can use VRR cannot enable HDR but it is proven to work with at least one display. Wish they would post the list of monitors that didn't pass. Glad to see they fixed the triple monitor clock speed on GTX1080. My racing computer setup gets mighty hot sometimes after racing online.. Going to test with the 1080ti and the BenQ XL2540, wish me luck boiz! I stopped updating since the 416.00 versions. Unless I really need to had problems where windows desktop colors kept resetting old problem since the dawn of drivers. I really hope someone with a "gsync compatible" monitor (xg270hu for extra points) tests it and reports back their findings. I am curious if the vrr range is different when using a nvidia card. I have been waiting on the 7nm Vega, but could be tempted to buy a 2080 instead depending on how things turn out. Samsung CF791 34" |3440x1440 / RTX 2080ti. How the heck do I enable the setting in the control panel? I've enabled Freesync on the monitor's side but cannot get the driver to activate it. I love how like the last 5-6 drivers have had fixes for random Tomb Raider CTD issues. DocNo, Armenius, RogueTrip and 1 other person like this. So is this a list of compatible monitors or tested and passed monitors? I wish I could ask users of that spreadsheet questions. Where is the source post for that spreadsheet? Is shadow of the tomb raider ever going to get the RTX treatment? I got it on a steam sale but have been waiting for the RTX patch before playing it. What kind of micky mouse adaptive sync enabling steps are those. Holly crap! Amd: check one box to enable, done deal, nothing else to do, and it sure as hell doesn't have to uninstall and reinstall the monitor in the process or require you to go fix the resolution or anything else afterwards. Zuul and boushidosan like this. So the question is, if you enable freesync on the monitor prior to booting up the machine, do you still have to go thru all those steps with a Nvidia gpu? Can’t wait to get home from work and try this out. Mentioned it in another thread but I have one of the 12 officially supported FreeSync monitors and I’ve never been able to utilize it until now. I wonder if this is a typo? This panel's resolution is 1440p...what kind of aspect ratio is 2560x1080? I guess I'll have to wait to get home to see what the deal is but I hope that isn't the maximum supported resolution. It wouldn't make sense! BENQ EX3203R w 2080Ti, I get the black Screen on occasion, especially in BF5 (Max everything), but much better with DX11 no RTX and some Game menus. Pendulum Demo at default range 40-60, I get the Black Screen when it dips below 48, If I set the Range 48-144, I have no issues. I'll try setting the range via CRU eventually, I believe the display has issues with going out of range and LFC isn't kicking in or something. The list of validated monitors still only has 12 listed, so it's easy to determine if a monitor wasn't validated. Use the pendulum demo if you really can't tell. Make sure you have "Ultimate Engine" range enabled in the monitor's settings, otherwise the Freesync range is only 80-100 Hz/FPS. Same. The notes for this driver said they fixed the crashing, so hopefully that means the RTX update isn't far away. If your monitor is listed as G-SYNC Compatible then you should not have to go through these steps if Freesync is enabled on the monitor. It should be the same as a G-SYNC monitor where you only have to decide if you want Windowed G-SYNC and/or V-Sync enabled. Maddness and IdiotInCharge like this. Asus MG279 had lots of flickering in Pendulum demo and especially in 3Dmark firestrike Extreme when G-Sync was enabled on default range (35-90) (GTX1080). Worked perfectly on my last AMD card, so Nvidia might not have gotten the different Freesync/VRR ranges pinned yet. The notes say that G-SYNC Compatible/Adaptive-Sync is not officially supported in multimonitor configurations at this time. Without a list of the monitors tested, we have no idea if a monitor didn't pass or just wasn't tested. Secondary display is not G-Sync compatible. By multimonitor, they must mean surround, since it works by just having a secondary display attached. Since nobody have said it: Thanks Nvidia! Likely all monitors whose manufacturers didn't pay to be "G-Sync Certified." Agreed. For any monitor that has a low freesync/async range its safe to assume they failed before any real testing was done simply due to not supporting LFC. For everything else a list from Nvidia would be rather nice. That seems unlikely. As fun as the "they paid for these to be on the list" narrative is, there is no way in hell the list would be that short if manufacturers were paying to be on it. Plus, that BenQ wouldn't be there. BenQ refuses to acknowledge that the XL2740 supports async, its not mentioned in any marketing materials, on their site, or in any manuals for the monitor. There is really no chance they'd pay to have it advertised unless they wanted to admit that support was there. Pixio PX329 is working perfectly. I do not know about Nvidia but on my AMD RX580 with MSI 27 inch 1080p 144hz monitor, it was as simple as enabling it in both places and that was it. I did not have to jump through hoops. Ooh, this is quite relevant to my interests. Flat 32" 1440p 165Hz (well, only 144Hz in FreeSync mode, but still good) VA and under $400 from Walmart, so totally painless returns. I did not either with my Benq xl2730z. Haven't had any issues with 3 different AMD gpu's. Same monitor however, and i have enabled and disabled it on the monitor many times without any hoops to jump thru. I'll be trying out my ASUS MG278Q with FrankenSync tonight. https://www.nvidia.com/en-us/geforce/products/g-sync-monitors/specs/ On this page you can find Variable Refresh Rate Range values for each monitor. I'm good for 40-144 FPS with my 27" 1440P MG278Q. I've got a 1070 so should have no problem staying within that range. High expectations! I can't say I've played on a G-Sync or FreeSync enabled PC yet. I’ve got that monitor and I’ll be posting my results with it later this evening.